High-impact postcards retarget and convert your web traffic. We built Modern iO for marketing teams who want to increase online conversions. 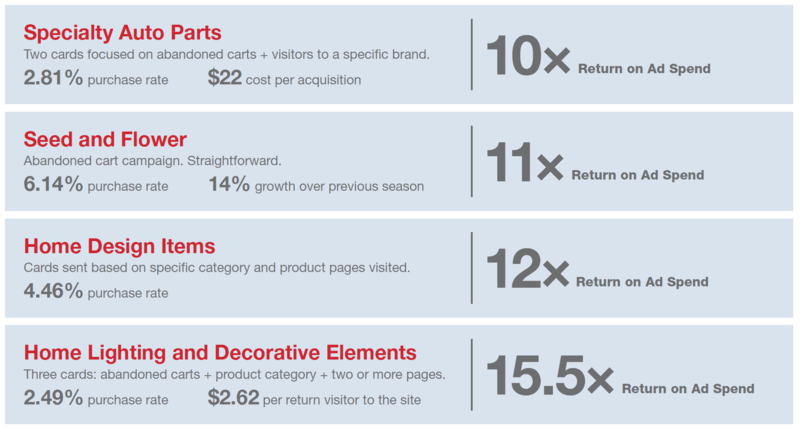 Many of our clients are seeing heroic Returns on Ad Spend of 9x to 15x. Ready to be a hero? Keep scrolling. Today, digital retargeting isn’t enough. Ad blocking software is on 30% of devices. You need to fill that gap in your retargeting funnel. Retarget web visitors with postcards, crush conversion rates. Like most marketers, you probably have a challenge converting website visitors. Fix that. Retarget customers who have already expressed an interest in your site…with postcard marketing. 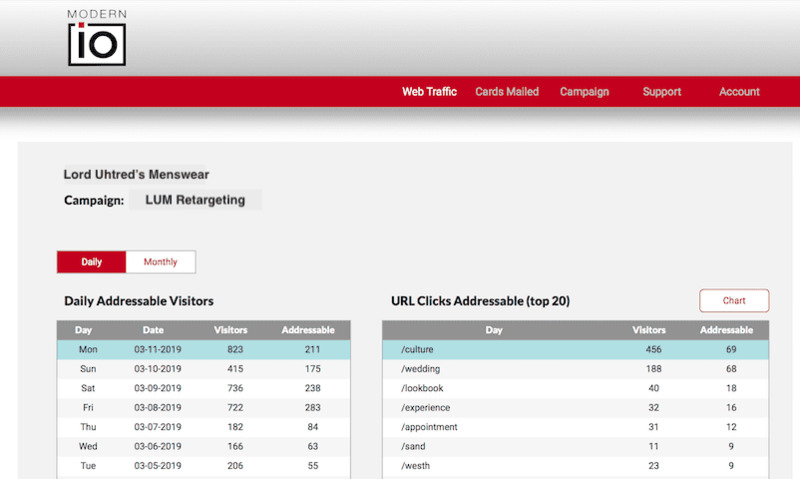 With a 100% open rate and stronger conversion than digital, postcard retargeting is now a proven channel that fills a gap in your marketing and sales funnel. We can show you how. Our Retail and Service clients have seen astonishing success with postcard retargeting. It makes sense: they’re using physical direct marketing to reach potential customers who already expressed an interest. No minimums. No contracts. No set-up fees. You control the budget and quantity. We do everything. All the services are included in the price. Set-up, data pull, creative, printing, mailing, reporting. If you want to mail 5 or 5,000 cards per day, we can handle it. Check out FAQ’s and Tag Set Up for more information. Find out how many new visitors you’re not reaching each day.